In the early 1930s, the German military began seeking out new weapons which would not violate the terms of the Treaty of Versailles. Assigned to aid in this cause, Captain Walter Dornberger, an artilleryman by trade, was ordered to investigate the feasibility of rockets. Contacting the Verein fur Raumschiffarht (German Rocket Society), he soon came in contact with a young engineer named Wernher von Braun. Impressed with the VfR’s work, Dornberger recruited von Braun to aid in developing liquid-fueled rockets for the military in August 1932. 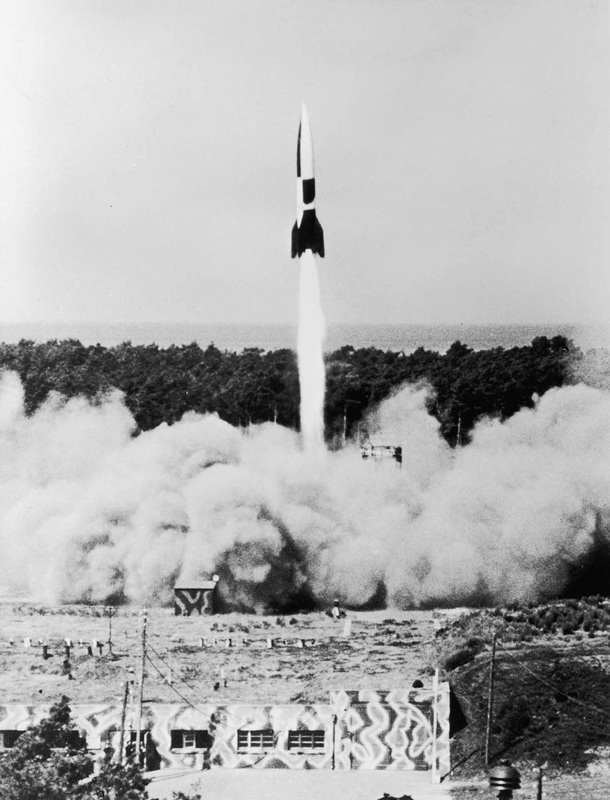 Commencing work with a team of 80 engineers at Kummersdorf, von Braun created the small A2 rocket in late 1934. While somewhat successful, the A2 relied on a primitive cooling system for its engine. 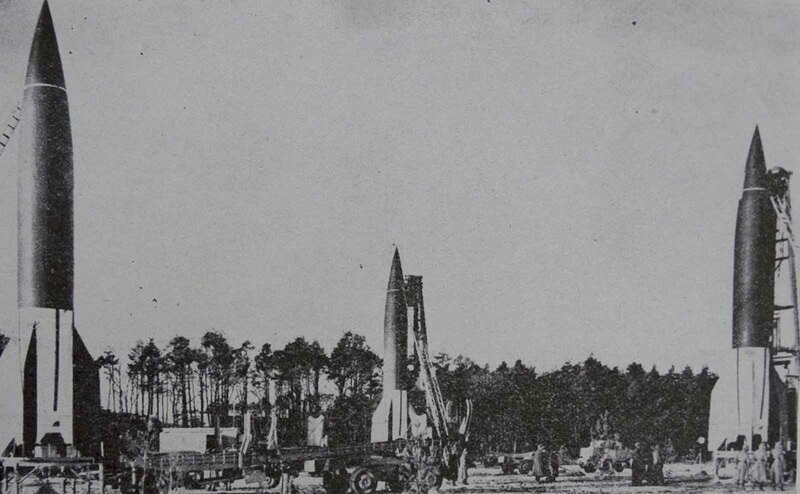 Pressing on, von Braun’s team moved to larger facility at Peenemunde on Baltic coast, the same facility that developed the V-1 flying bomb, and launched the first A3 three years later. Intended to be smaller prototype of the A4 war rocket, the A3’s engine lacked endurance and problems quickly emerged regarding its control systems and aerodynamics. Accepting that the A3 was a failure, the A4 was postponed while the problems were dealt with using the smaller A5. The first major issue to be addressed was constructing an engine powerful enough to lift the A4. This became a seven-year development process that led to the invention of new fuel nozzles, a prechamber system for mixing oxidizer and propellant, a shorter combustion chamber, and a shorter exhaust nozzle. Next designers were forced to create a guidance system for the rocket that would allow it to reach the proper velocity before shutting off the engines. The result of this research was the creation of an early inertial guidance system which would allow the A4 to hit a city-size target at a range of 200 miles. 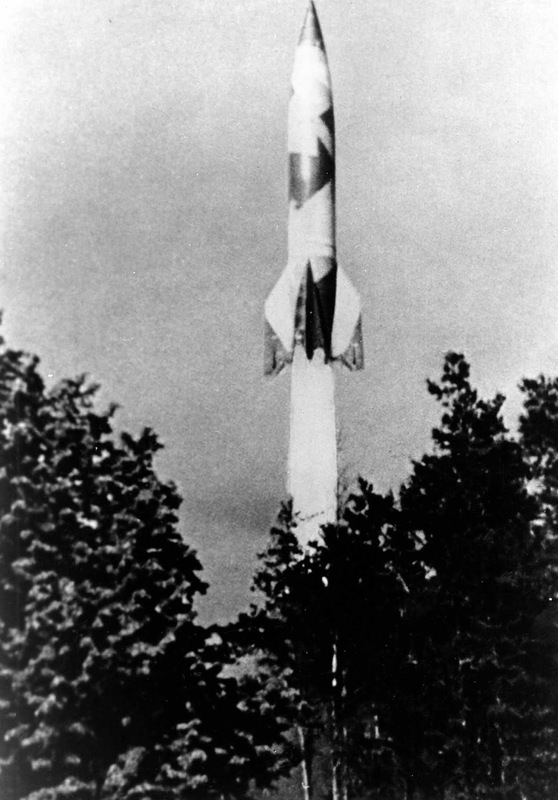 V-2 (German: Vergeltungswaffe 2, “Retribution Weapon 2”), technical name Aggregat 4 (A4), was the world’s first long-range guided ballistic missile. 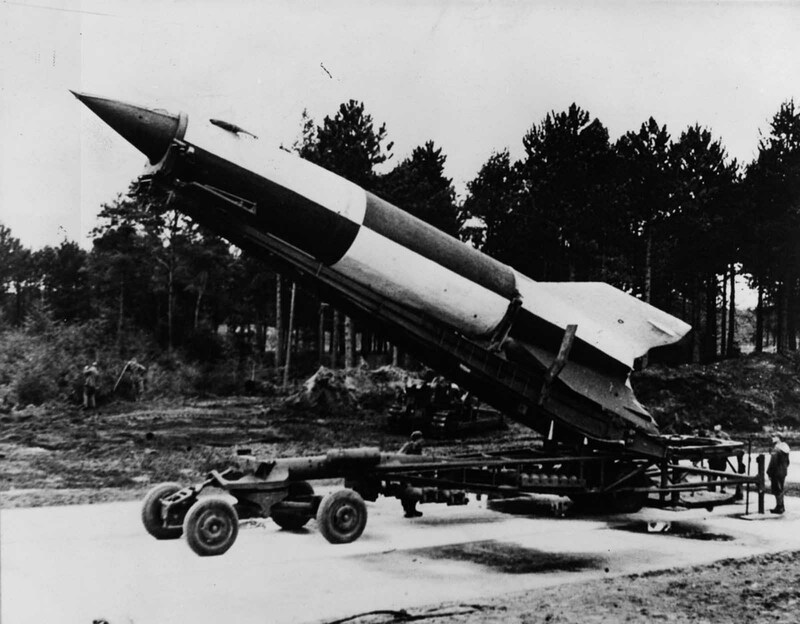 The missile with a liquid-propellant rocket engine was developed during the Second World War in Germany as a “vengeance weapon”, assigned to attack Allied cities as retaliation for the Allied bombings against German cities. As the A4 would be traveling at supersonic speeds, the team was forced to conduct repeated tests of possible shapes for the A4. While supersonic wind tunnels were built at Peenemunde, they were not completed in time and many of the aerodynamic tests were conducted on a trial and error basis with conclusions based on informed guesswork. A final issue that was overcome was developing a radio transmission system which could relay information about the rocket’s performance to controllers on the ground. Attacking the problem, the scientists at Peenemunde created one of the first telemetry systems to transmit data. Early in World War II, Hitler was not particularly enthusiastic about the rocket program believing that the weapon was simply a more expensive artillery shell with a longer range. As the conflict progressed, Hitler warmed to the program and on December 22, 1942, authorized the A4 to be produced as a weapon. Though production was approved, thousands of changes were made to the final design before the first production missiles were completed in early 1944. Initially, production of the A4, now re-designated the V-2, was slated for Peenemunde, Friedrichshafen, and Wiener Neustadt, as well as several smaller sites. Following Operation Crossbow bombing, initial plans for launching from the massive underground Watten and Wizernes bunkers or from fixed pads such as near the Château du Molay were dropped in favour of mobile launching. 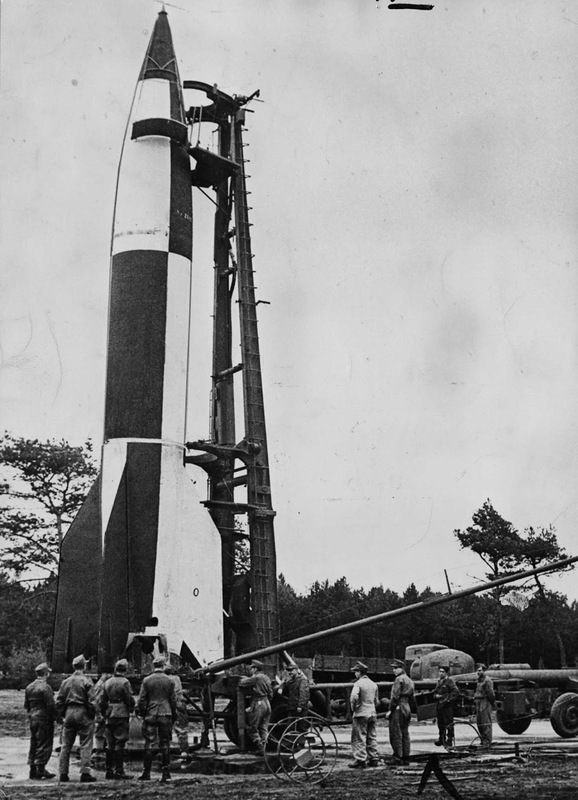 A V-2 rocket is prepared for launch in Cuxhaven, Germany. 1944. This was changed in late 1943, after Allied bombing raids against Peenemunde and other V-2 sites erroneously led the Germans to believe their production plans had been compromised. As a result, production shifted to underground facilities at Nordhausen (Mittelwerk) and Ebensee. The only plant to be fully operational by war’s end, the Nordhausen factory utilized slave labor from the nearby Mittelbau-Dora concentration camps. It is believed that around 20,000 prisoners died while working at the Nordhausen plant, a number that far exceeded the number of casualties inflicted by the weapon in combat. During the war, over 5,700 V-2s were built at various facilities. Originally, plans called for the V-2 to be launched from massive blockhouses located at Éperlecques and La Coupole near the English Channel. This static approach was soon scrapped in favor of mobile launchers. 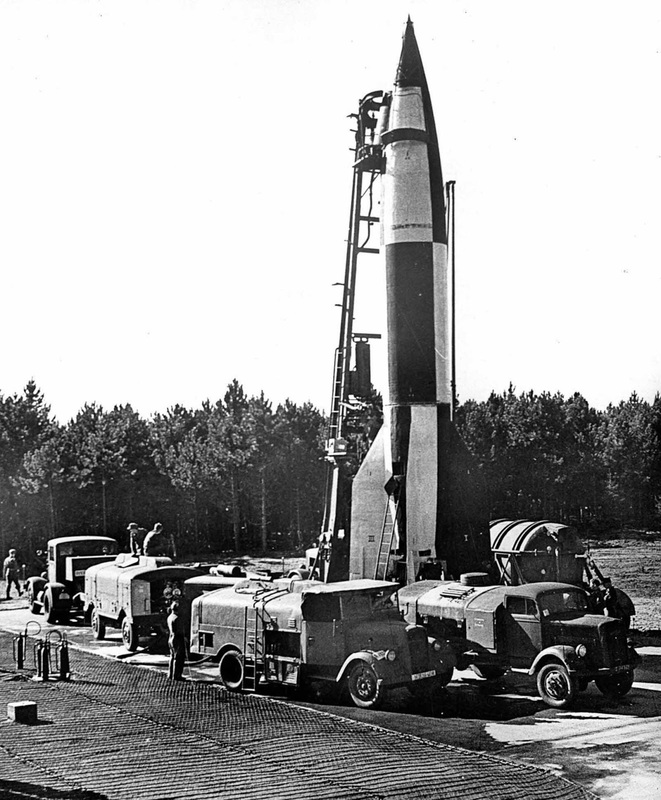 Traveling in convoys of thirty trucks, the V-2 team would arrive at a staging area where the warhead was installed before towing it to the launch site on a Meillerwagen. There, the missile was placed on the launch platform, armed, fueled, and the gyros set. This set up took approximately 90 minutes and the launch team could clear an area in 30 minutes after launch. A V-2 rocket in air. This mobile system proved highly successful and up to 100 missiles a day could be launched by German V-2 forces. 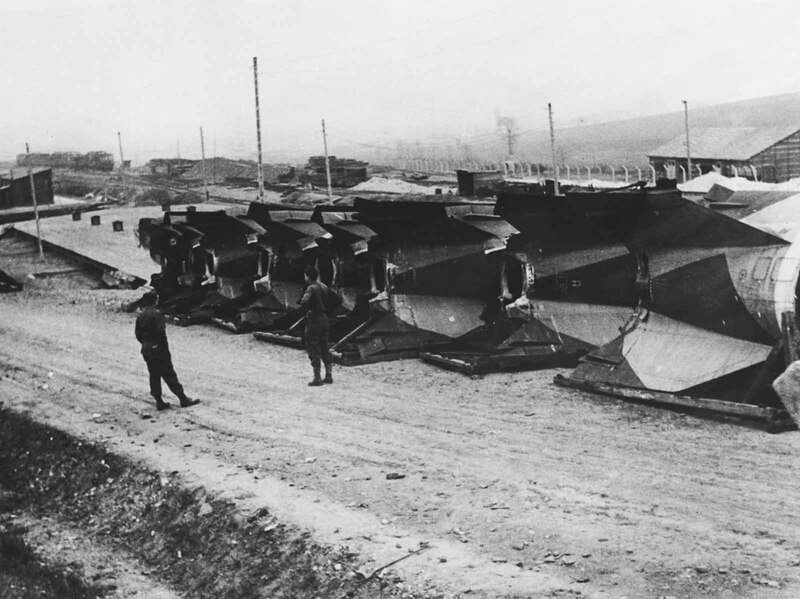 Also, due to their ability to stay on the move, V-2 convoys were rarely caught by Allied aircraft. The first V-2 attacks were launched against Paris and London on September 8, 1944. Over the next eight months, a total of 3,172 V-2 were launched at Allied cities including London, Paris, Antwerp, Lille, Norwich, and Liege. Due to the missile’s ballistic trajectory and extreme speed which exceeded three times the speed of sound during descent, there was no existing and effective method for intercepting them. To combat the threat, several experiments were conducted involving radio jamming (the British erroneously though the rockets were radio-controlled) and massing anti-aircraft guns. These ultimately proved fruitless. V-2 attacks against English and French targets only decreased when Allied troops were able to push back Germans forces and place these cities out of range. The last V-2-related casualties in Britain occurred on March 27, 1945. Accurately placed V-2s could cause extensive damage and over 2,500 were killed and nearly 6,000 wounded by the missile. Despite these casualties, the rocket’s lack of a proximity fuse reduced losses as it frequently buried itself in the target area before detonating which limited the effectiveness of the blast. Unrealized plans for the weapon included development of a submarine-based variant as well as construction of the rocket by the Japanese. Highly interested in the weapon, both American and Soviet forces scrambled to capture existing V-2 rockets and parts at the end of the war. In the conflict’s final days, 126 V-2 related scientists, including von Braun and Dornberger, surrendered to American troops and assisted in further testing the missile before coming to the United States. While American V-2s were tested at the White Sands Proving Ground, Soviet V-2s were taken to Kapustin Yar. In 1947, an experiment (Operation Sandy) was conducted by the US Navy which saw the successful launch of a V-2 from the deck of USS Midway (CV-41). Working to develop more advanced rockets, von Braun’s team at White Sands used variants of the V-2 up until 1952. 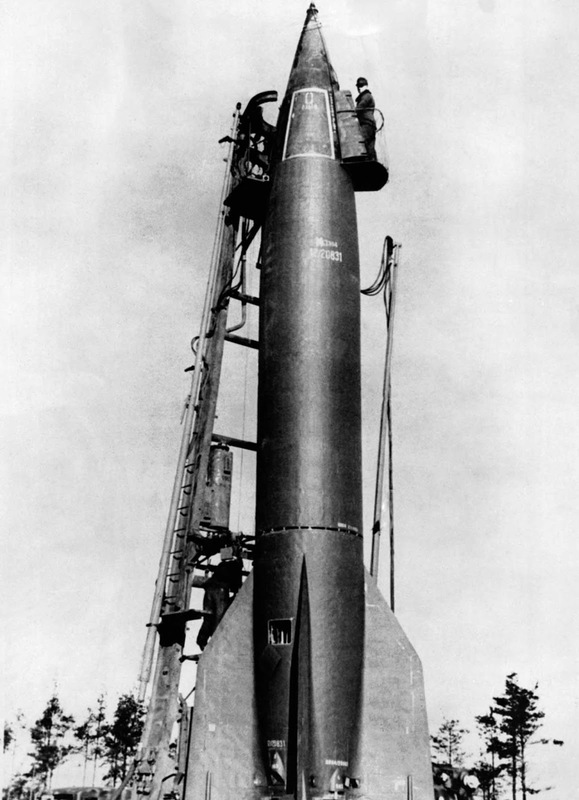 The world’s first successful large, liquid-fueled rocket, the V-2 broke new ground and was the basis for the rockets later used in the American and Soviet space programs. A battery of V-2 rockets is prepared for firing. 1944. 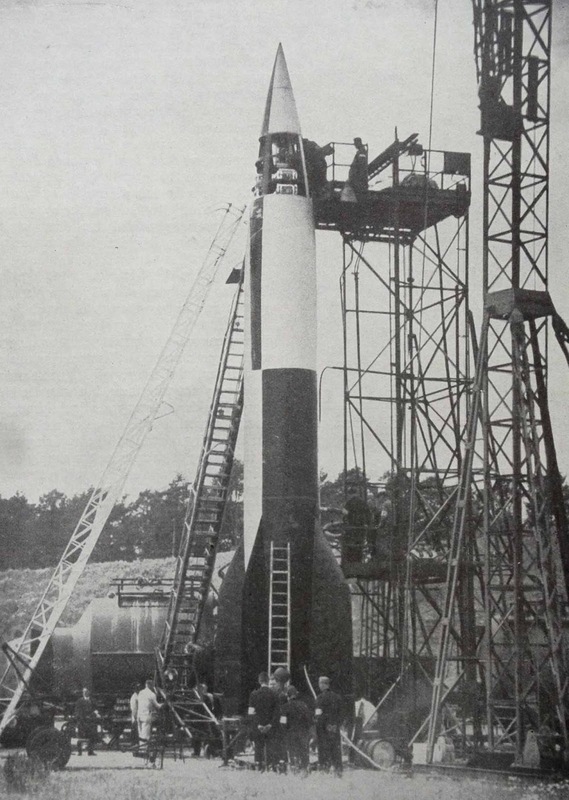 A V-2 rocket is being prepared for launch. 1944. 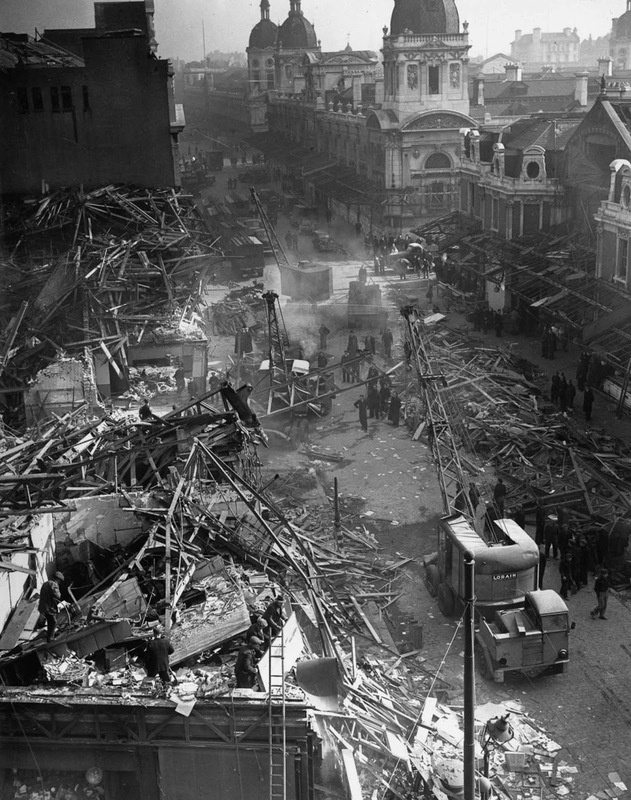 The aftermath of a V-2 strike in London. 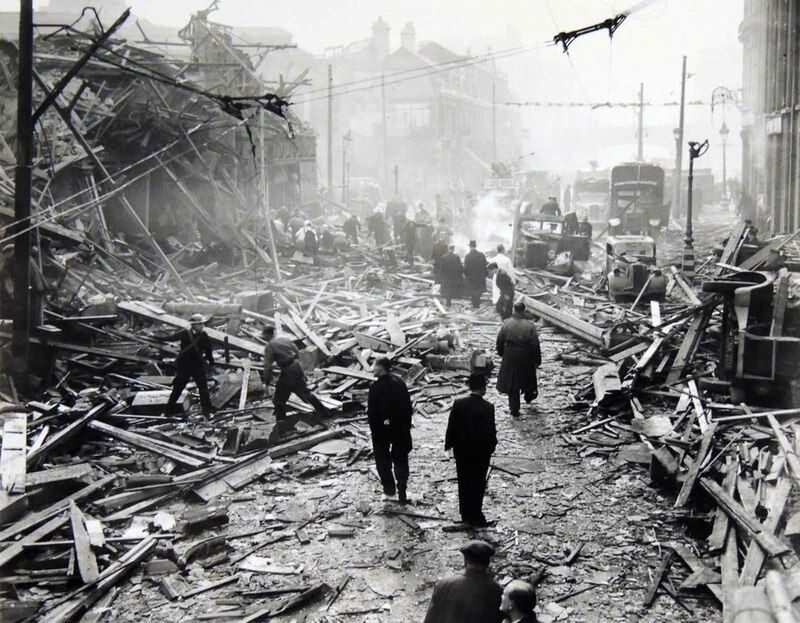 The British government initially attempted to conceal the cause of the explosions by blaming them on defective gas mains. The public therefore began referring to the V-2s as “flying gas pipes”. 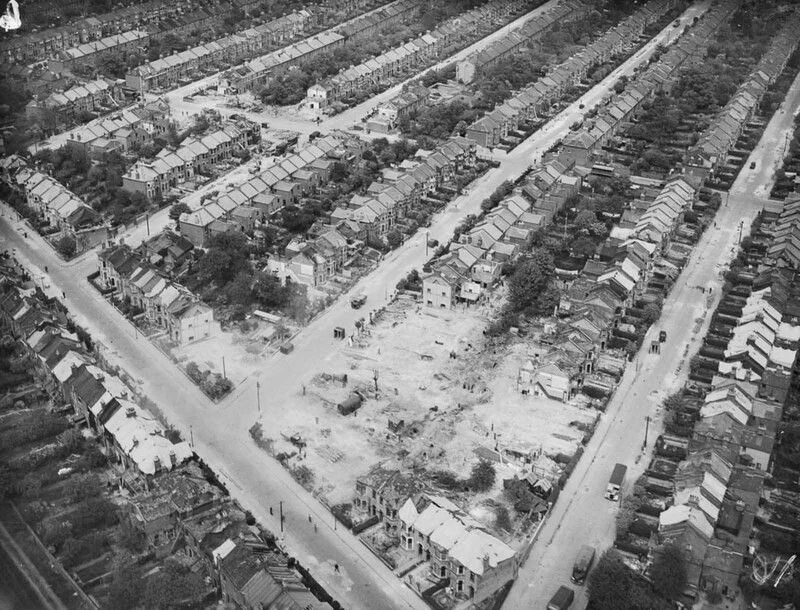 Houses are being cleared away in Essex after a V-2 explosion damaged and destroyed dozens of houses and killed nine people. 1945. 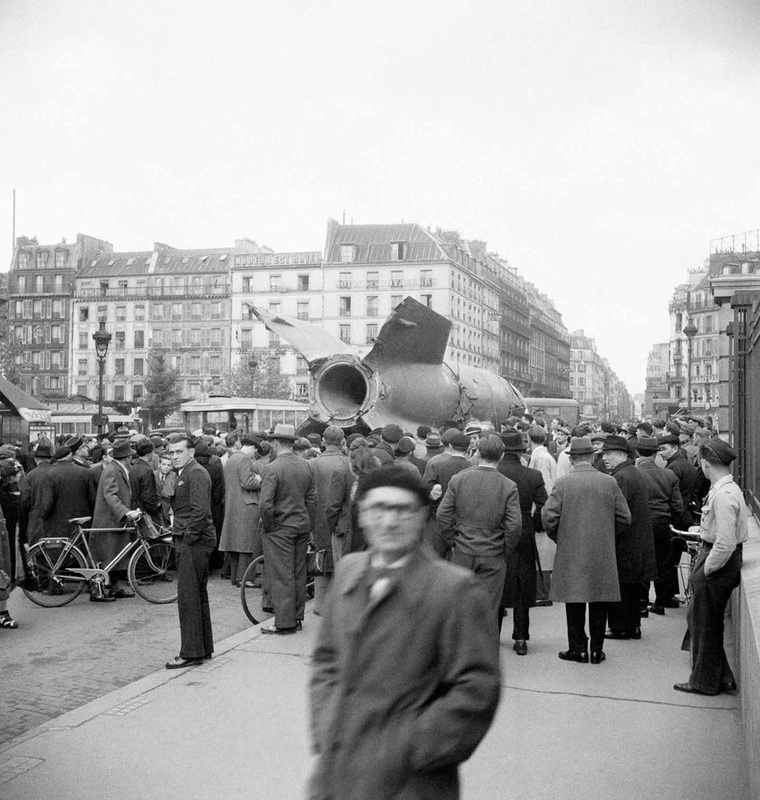 A captured V-2 is paraded through Paris. 1945. A V-2 rocket arriving in Trafalgar Square, London, to take part in the London National Savings Week campaign. 1945. 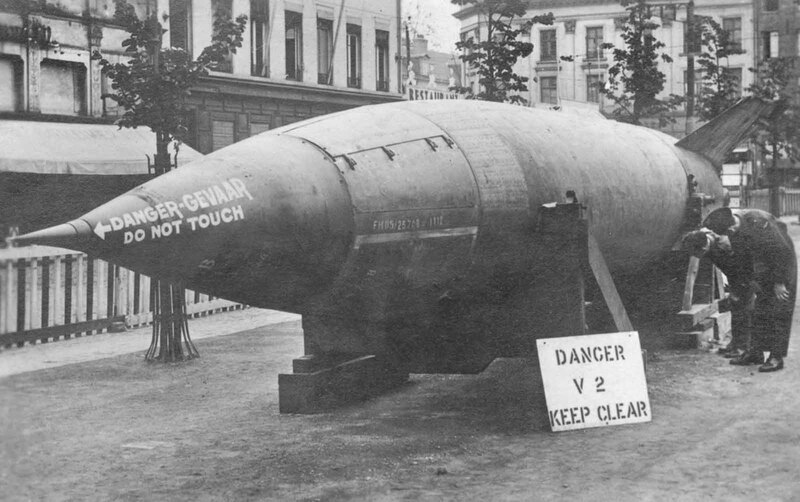 A V-2 on display in Holland. 1945. 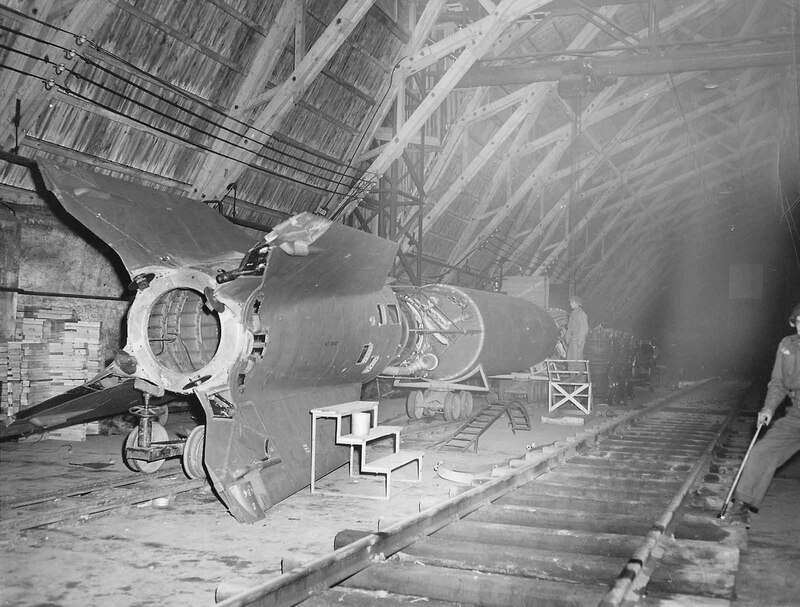 V-2 segments at a German munitions factory captured by Allied forces. 1945. 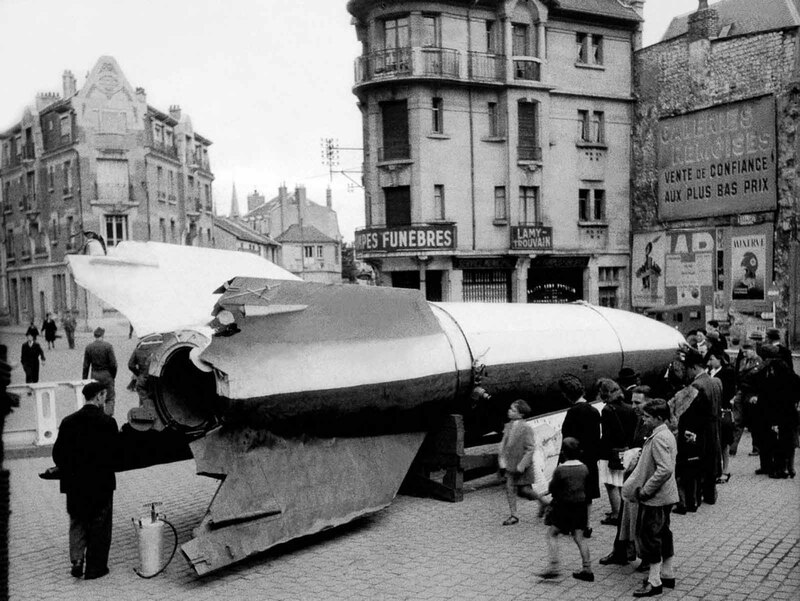 A V-2 rocket on display in Reims, France. 1945. 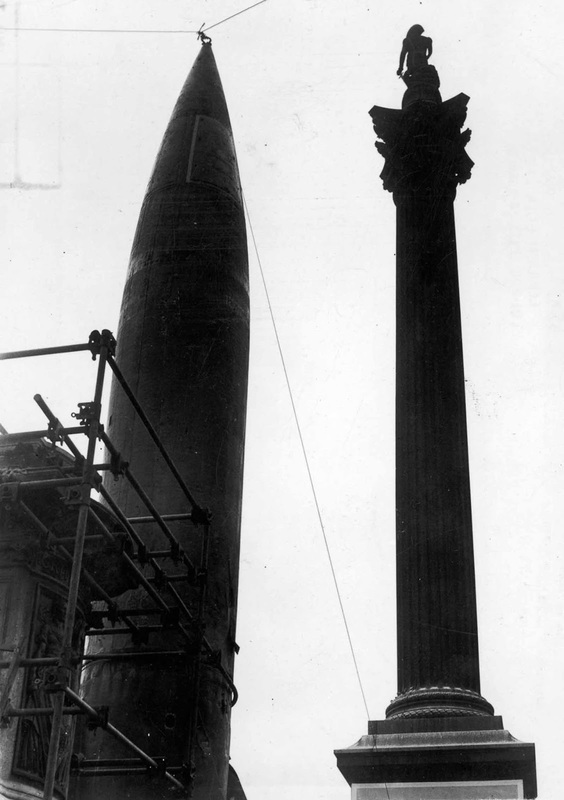 A V-2 rocket stands on display alongside Nelson’s Column in Trafalgar Square. 1945. 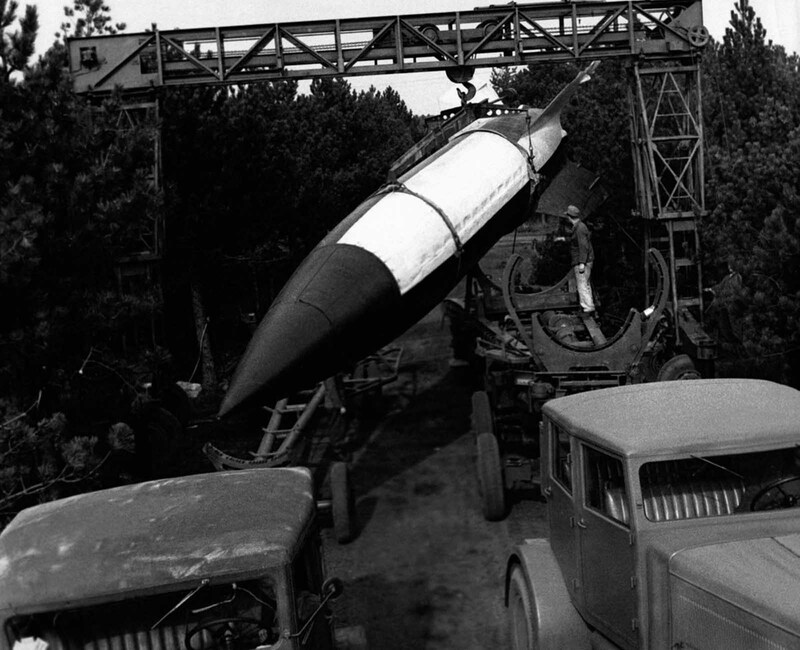 U.S. soldiers inspect a German ‘V-2’ rocket at the factory. Kleinbodungen, Germany, 1945.